This is a Kalok KL 343 43 Megabyte (mega, not giga, not tera) IDE hard drive from around 1990. 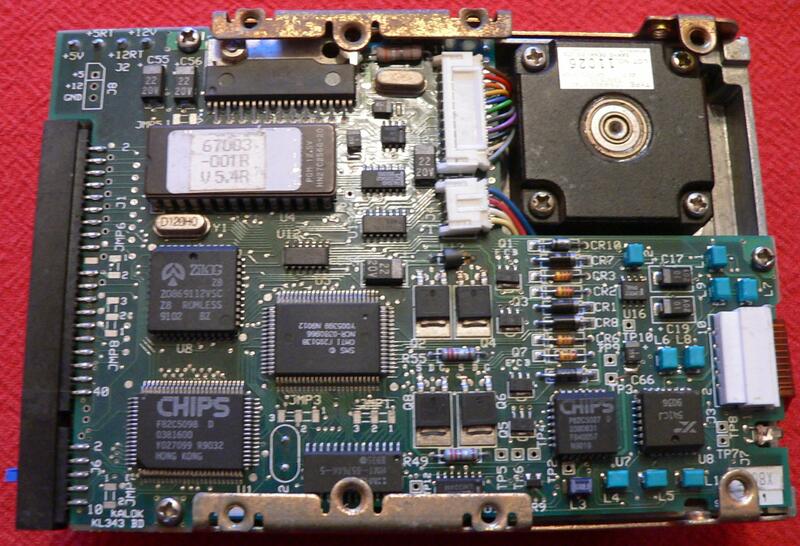 Like many hard drives, it uses a Zilog Z-8 embedded CPU. Here's the ROM image. 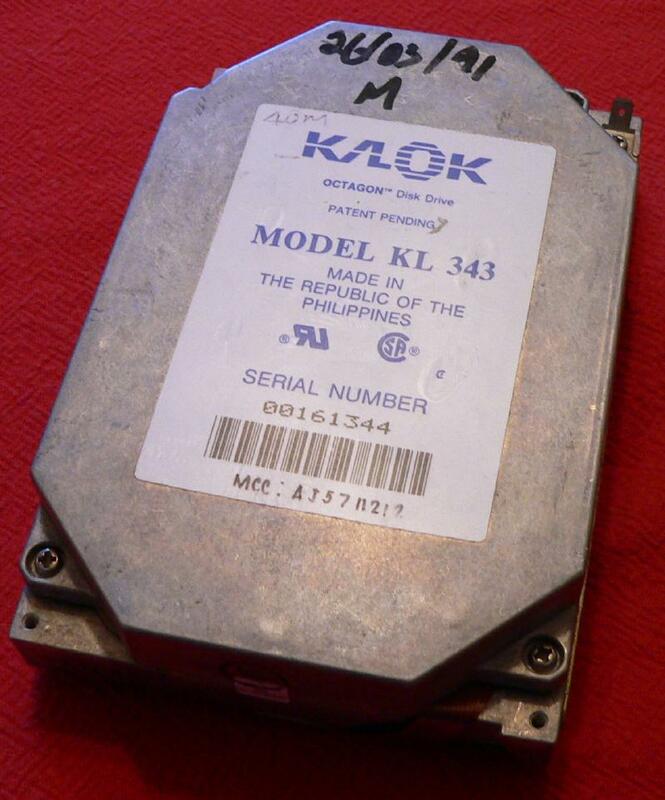 The platter motor is driven by an HA13426 three phase motor driver. The XR541 is a pulse detector and the HM65764 is an 8K RAM but I have no idea what the CHIPS 82C5027, CHIPS 82C5098 and SMS OMTI 20513 are. This is floppy disk technology. The number of tracks is dependent on how fine the stepper motor steps are, and of course any play in the mechanism is fatal. 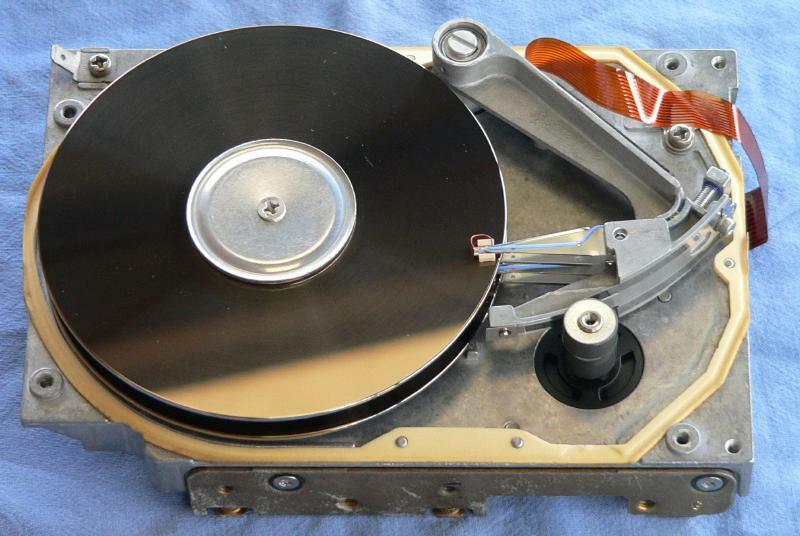 Voice coil technology moved hard drives into a completely new dimension.